Your Android device is rooted? 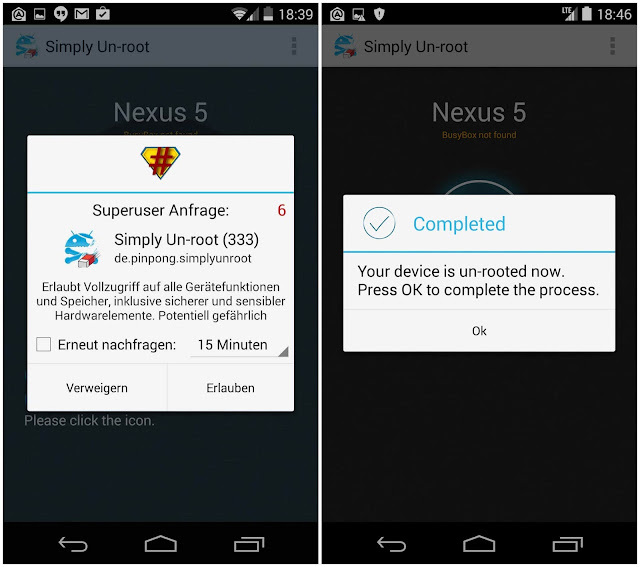 You don’t know how to unroot your Android device? Your device is found to be unsafe? You can’t run certain apps like streaming services, online banking or others? You think you have to send your device in for repair? You just want check root aceess? Use Simply Unroot. Simply Unroot is the best solution to unroot your device safely, efficiently and without a lot of effort. All files needed for root access will be removed from the system partition and previously created backup files will be restored. Unroot service cost ~ 1$. You can use it with all your devices how often you want. Personal data will not be delated and eFuse Chip or Samsung status will not be restored to Official. There is no guarantee that OTA Update errors will be fixed. 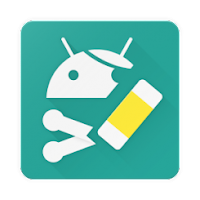 Almost all devices and superuser apps are supported. Be sure you have full read/write permissions on /system partition.